Delivering this week’s installment of Dubspot Radio Podcast is Dubspot NYC instructor and Made In Green label founder Vasco Ispirian who delivers a superb DJ mix packed with rare deep house and techno grooves. Vasco also sat down with Dubspot Radio for an interview in which he talks about his early beginnings in Madrid, his fascination with Detroit techno and old school Chicago house, New York house, his new imprint Made In Green recordings. Vasco is truly one of the most innovative and astute music producers and DJs of our time. A budding music fledging in the early 90′s, he was captivated during the birth of techno and house bringing a raw quality of ‘classic’ electronic music into his ever developing sound. A cutting edge artist, he is now living and working in New York City as a producer, DJ, and teacher. With the launch of his new label ‘Made in Green Records’, Vasco will continue to ride the wave of creativity while keeping to his roots by pressing the first release of this series on vinyl in 2015. Backed by a masters in engineering and classical guitar studies as a child, Vasco has a deep understanding of sound and music technology. He currently utilizes his skills as a teacher in NY based electronic music school, ‘Dubspot’ while also DJing around the city. He has a gift for perceiving his audience and creating a palpable vibe for a truly transcendental experience. Vasco grew up in Madrid, Spain during the initial boom of electronic music. As a true visionary he co­founded the first ever successful clubbing DJ collective, ‘Innerlife’. Slowly he and his colleagues took over the underground scene of Madrid including legendary night club, ‘The Room’, for eight years. Later his experience would take him to play at Sonar in Barcelona, Observatori in Valencia and countless clubs and festivals all around Europe. Vasco began creating and performing his own music in 2004 releasing under various labels such as Dubhe, T.E.A.M, Scuba Dive Music, Invader, Lessismore, Minuendo, AlmaSoul, Pong, Redsonja and Nulabel. He also worked on many collaborative projects fusing different art forms to create truly advanced and modern forms of entertainment. One of the more notable ones, being a project involving 5 classical flute players taking their music out of its normal context and merging it with live electronic music. This project, ‘Requiem’ from the Crasmusicasseries, received an incredible response from its audience when performed in 2012 at the Redbull Music Academy facilities in Madrid. Vasco took his career global in 2012 performing in Asia and USA. He now continues his journey residing in New York City while still touring the world and continuing to grow as a musician. “Things are better than ever, I am looking forward to meeting new people andbeing part of the collective rise of electronic music technology here in America”, states Vasco. 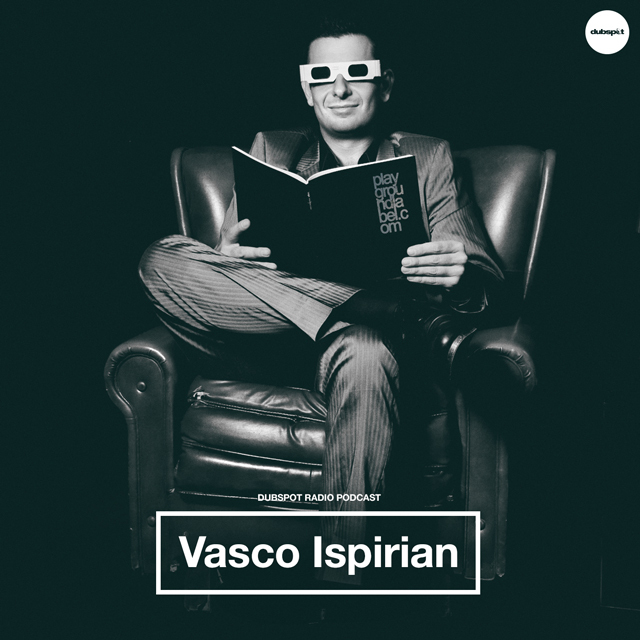 Connect with Vasco Ispirian on Soundcloud, Facebook and on his site.